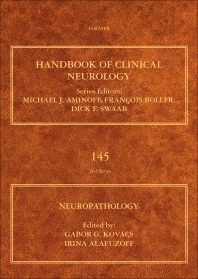 Neuropathology, Volume 145, the latest release in the Handbook of Clinical Neurology series, includes all the major topics found in a typical neuropathology text, but differentiates itself by providing a thorough overview of the morphological background of neurological disorders for researchers and clinicians who do not specialize in pathology or its clinicopathological aspects. This volume offers strong coverage of brain imaging and advances in molecular pathology and genetics, and is particularly timely given the amount of neuropathological research currently taking place. Dr. Irina Alafuzoff is currently professor in neuropathology at the Uppsala University, Institution in Immunology Genetics and Pathology, senior consultant at Uppsala University Hospital, Department of pathology, Uppsala, Sweden. She is a licensed physician since 1987, licensed pathologist since 1991 and she gained her title as Doctor in Medical Sciences in 1986. She has been professor in neuropathology since 2007 first at Kuopio University, Finland and since 2009 at Uppsala University, Sweden. During 7 years (2010-2016) she was the clinical director of the Department of Pathology at Uppsala University Hospital. 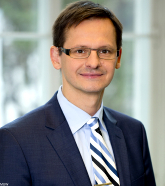 She is member of the Brain Net Europe consortium funded by European Union during 8 years (2001-2008), headed by the professor Hans Kretzschmar. The objective of BNE consortium was to facilitate the use of human brain tissue in research and standardize/harmonize the diagnostics of neurodegenerative diseases. She has more than 220 published papers and several book chapters. Her primary interest has been and is research in human brain diseases and lately the emphasis has been research on human brains of cognitively unimpaired aged individuals. She and her team of researchers in Kuopio and Uppsala were one of the first to report that neurodegenerative alterations are more common that even expected in the aging brain. She and her coworkers have also looked at the association of various brain lesions with a number of systemic disorders and genetic risk factors. She has also been active in the education of medical students, residents and fellows and currently she is the president of the Swedish Society of Pathology.